There are times when ideas are born in the most natural of ways. 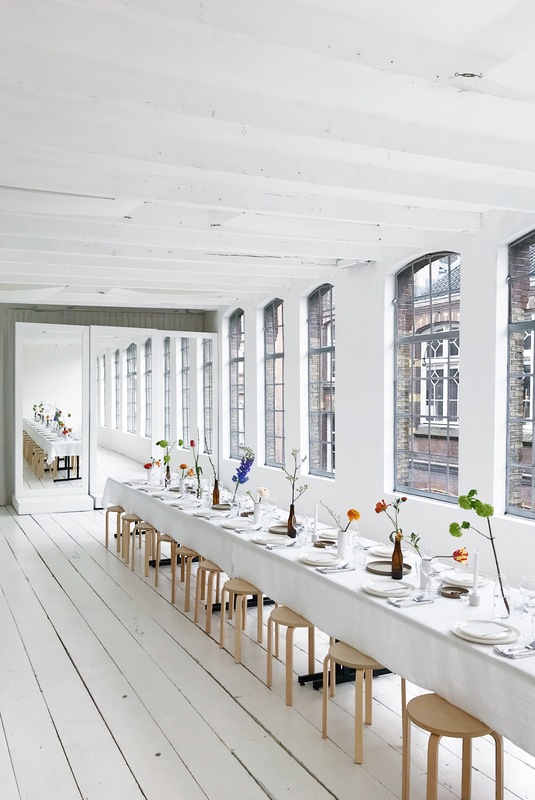 Nourish, a two-day intimate lunch gathering over Easter weekend, was just that. 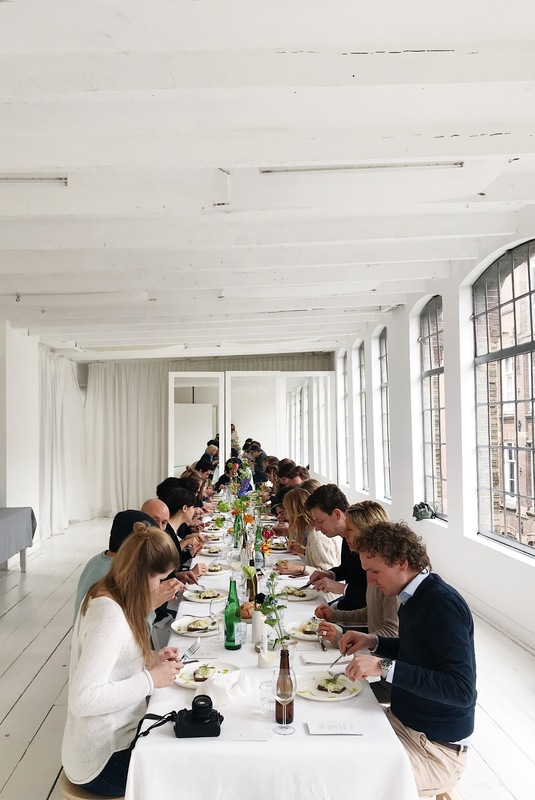 My friend Marieke Verdenius and I had been organizing monthly get togethers known as The Gatherists for several months when we met graphic designer/art director Fanny Olsthoorn and food enthusiast/chef Martina Bianchini, founders of the culinary gatherings Café Spontane. There was an immediate click and we decided to bundle our talents into a new event. The name ‘Nourish’ came to us quite quickly – it represents both enrichment through meeting new people and coming up with new ideas as well as the nourishment in terms of beautiful food. We envisioned a series of intimate gatherings that comfort our bodies and enrich our minds. 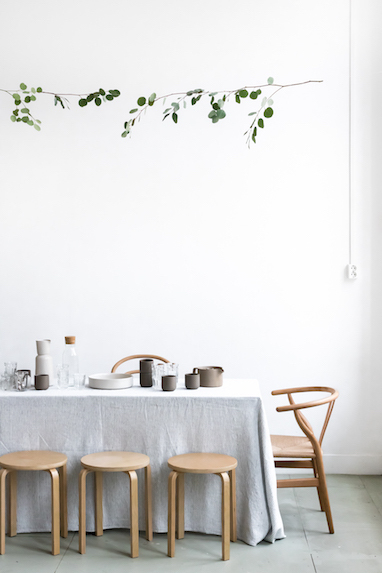 The four of us share a love for minimal design. 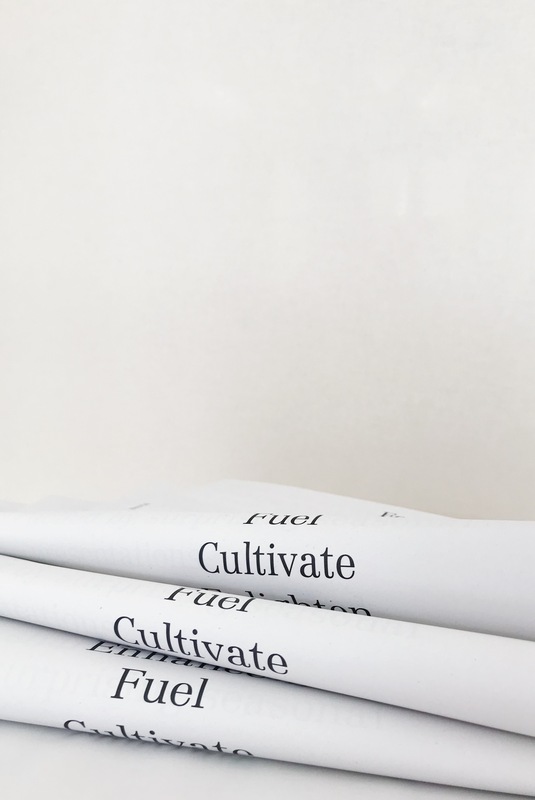 We pay attention to the details – nothing goes unnoticed, from the menu creation to the design of the 12-page newspaper we created to celebrate our collaboration as Nourish. 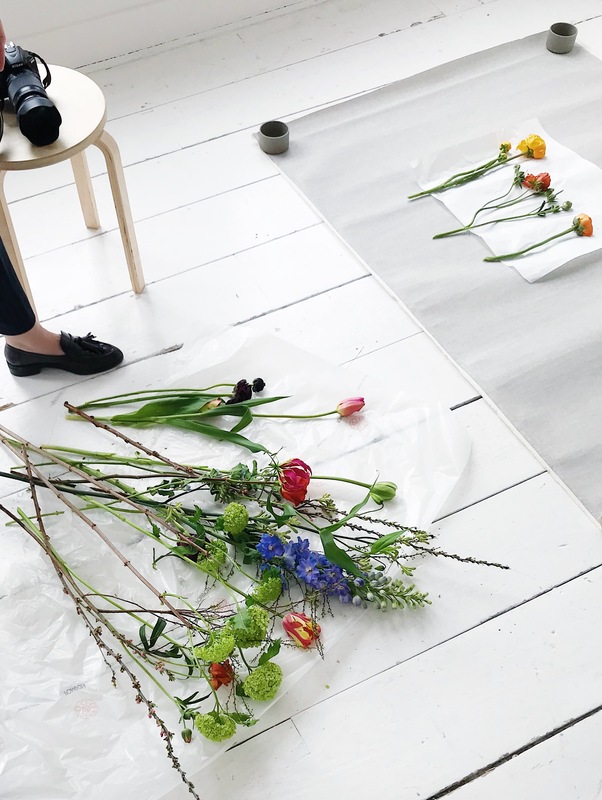 When we settled on the venue, a beautiful photography studio in the center of Amsterdam, everything else just fell into place. We kept the decoration of the space to a minimum, creating a platform for both the dishes we had prepared and for our guests to feel comfortable in their surroundings. We selected a variety of dishes that combined earthy tones with fresh and zingy flavours for spring. 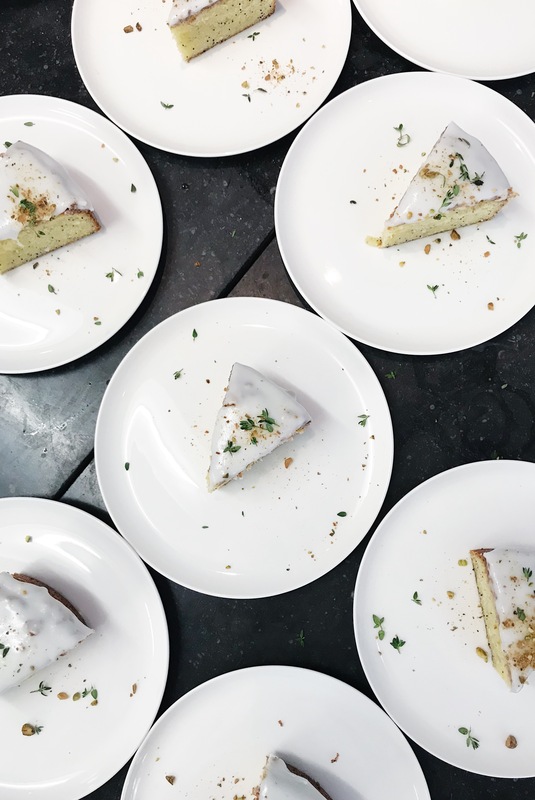 We welcomed our guests with a ricotta, zucchini and chives cake and a rhubarb fizz with ginger and rosemary. Our starter was a white beetroot salad with grapefruit, tarragon and crème fraiche. Then we served a beautiful bright green watercress soup with ras-el-hanout cream. Our main was a Danish-inspired open-faced rye sandwich topped with a herb spread, sliced fennel and old Dutch cheese shavings. For dessert, we treated our guests to a fluffy lemon drizzle cake sprinkled with thyme and pistachio nuts. To end our afternoon, we invited all our guests to get up out of their chairs and join us for coffee and tea and homemade salty caramels (which we also packaged and gave to each guest as a small ‘thank you’ gift). We were fortunate enough to welcome a great mix of creative people, many of whom attended Nourish alone, embracing the ‘unknown’ and eager to meet new people. Some people we knew, others we didn’t. Some attended as friends others as families on Easter Sunday. 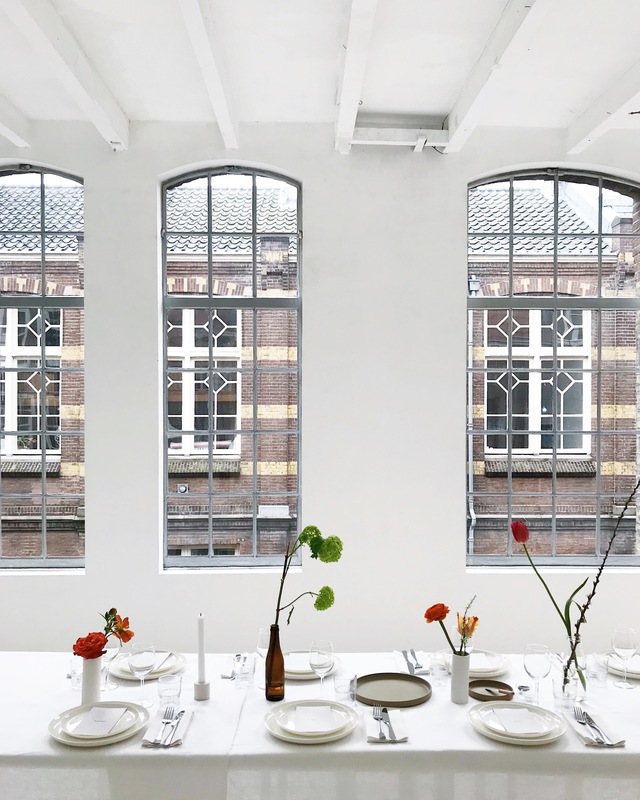 But everyone shared a love for good food, an appreciation for beautiful spaces and an openness to new connections, conversations and inspirations. We hope to organize more Nourish events in the future, stay tuned!